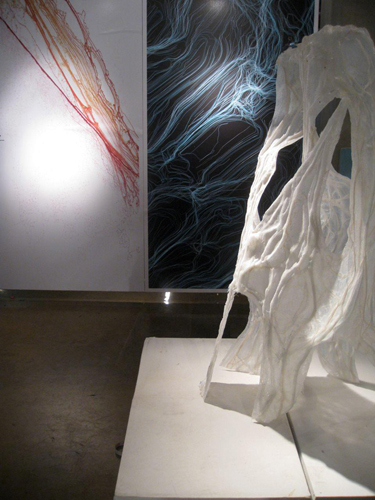 This installation design sought to experiment with materials and methods that combines structure and skin. 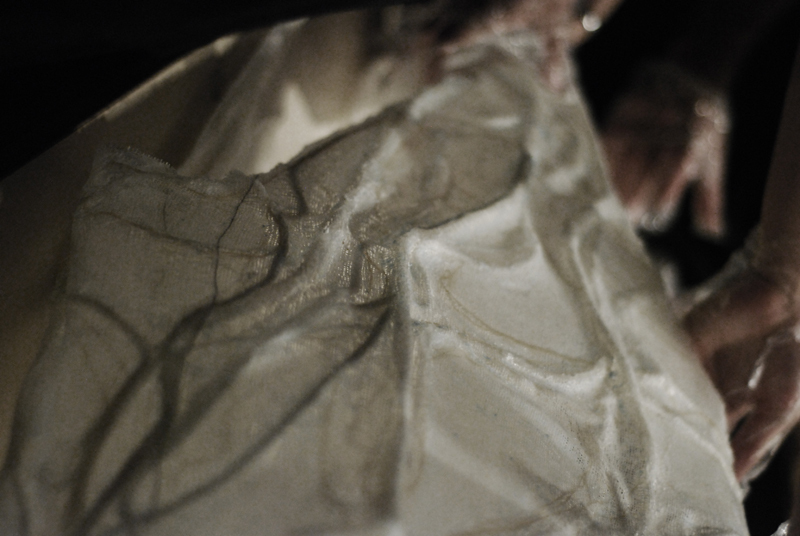 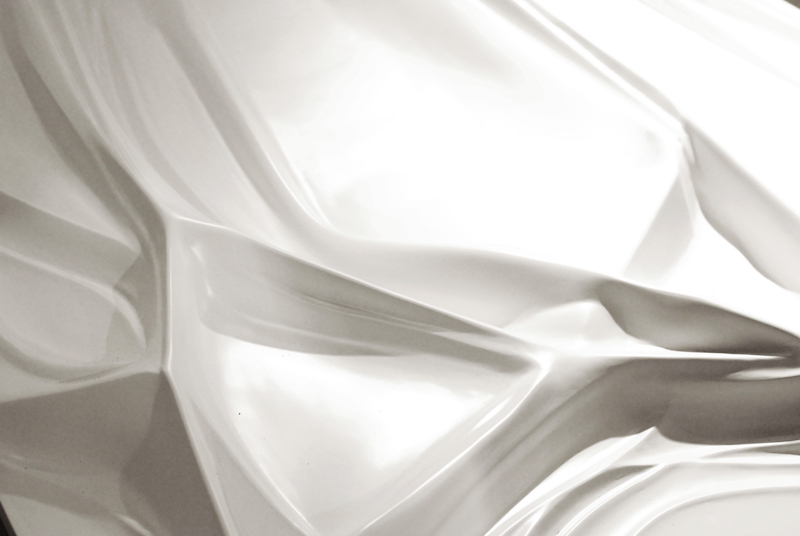 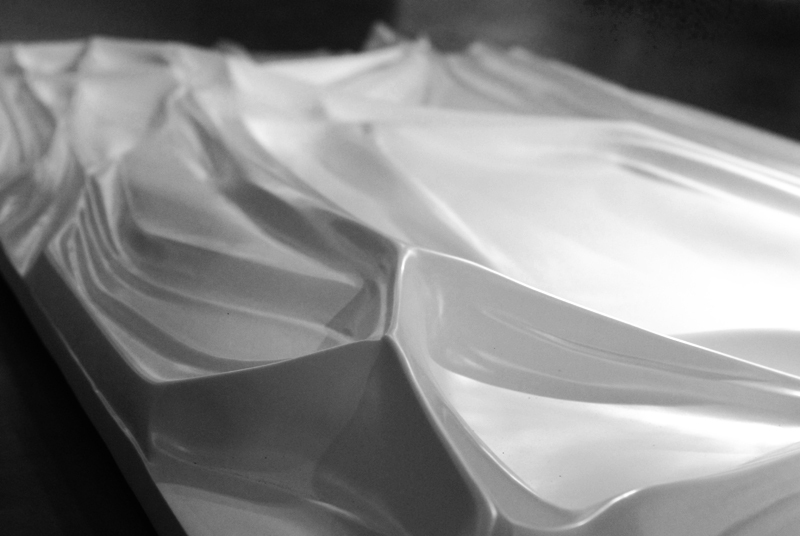 The design agenda was to develop an understanding of how a single surface can fold and be reinforced with fiber in order to create structural qualities unique to its composite materials. 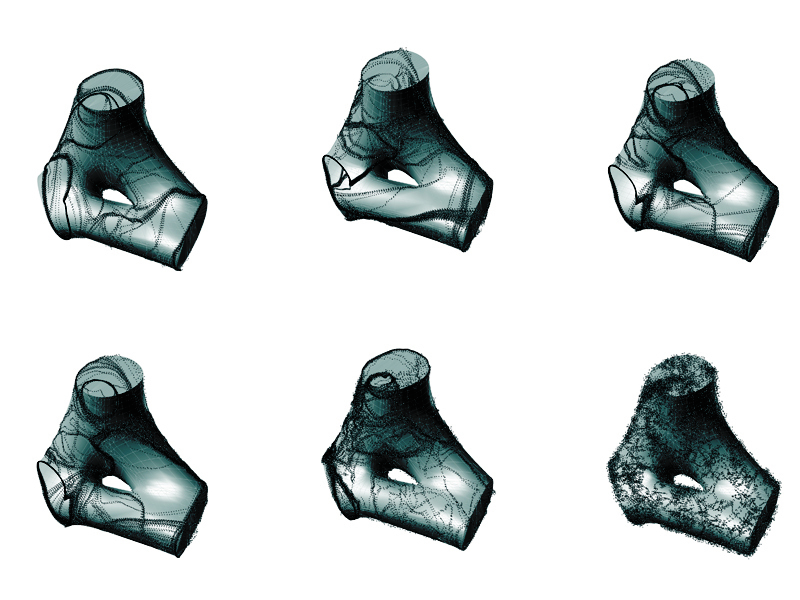 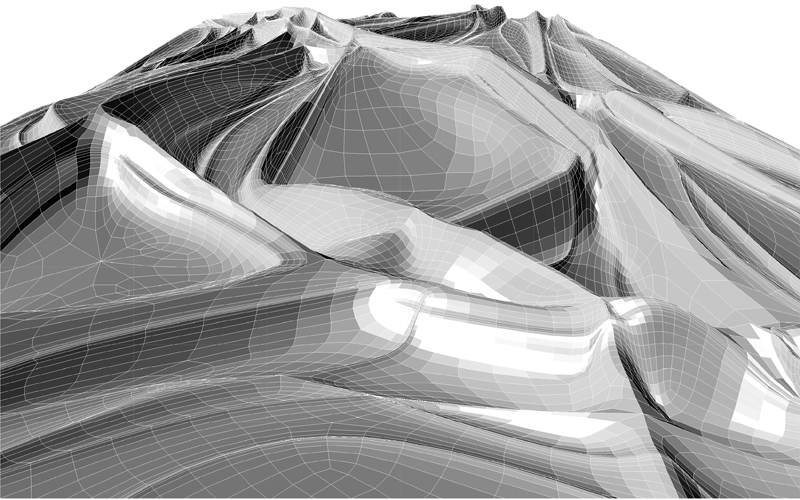 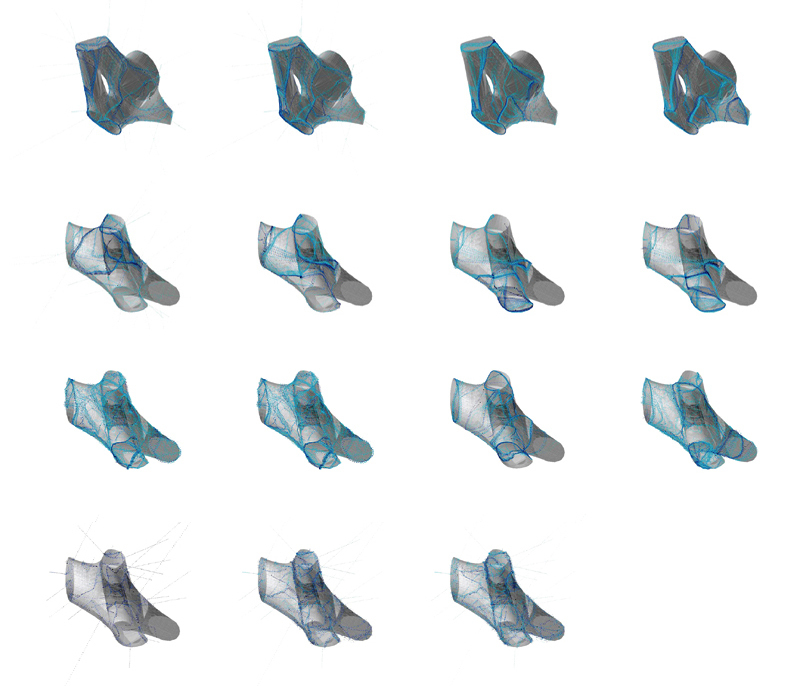 Beginning with the focus of creating structural folds in a flat material to generate concetrnations of structural capacity, I wrote an algorithm using Processing in order to organize folding patterns and densities of material division. 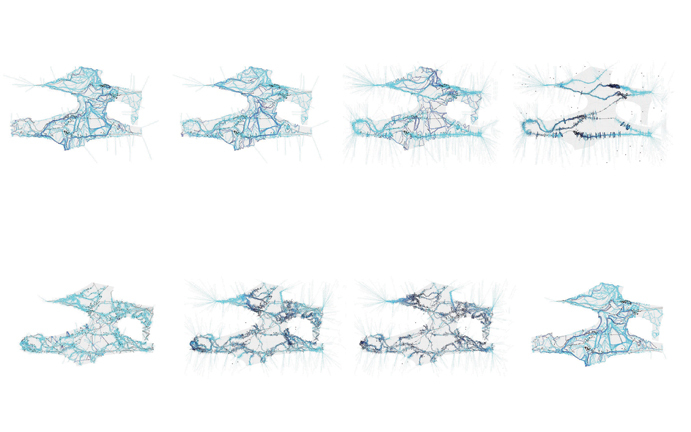 The multitude of strands adds strength to the surface structure.